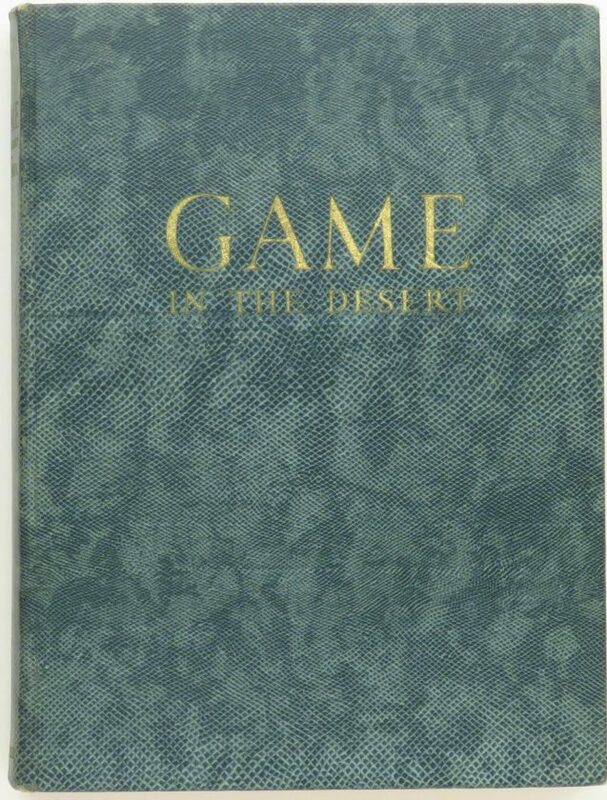 Game in the Desert, Jack O'Connor, Derrydale, 399/950, leather, strong condition - Sportsman's Legacy, Fine firearms, related books and sporting collectibles. Representing estates, collectors and nonprofit conservation organizations. Game in the Desert by Jack O’Connor. 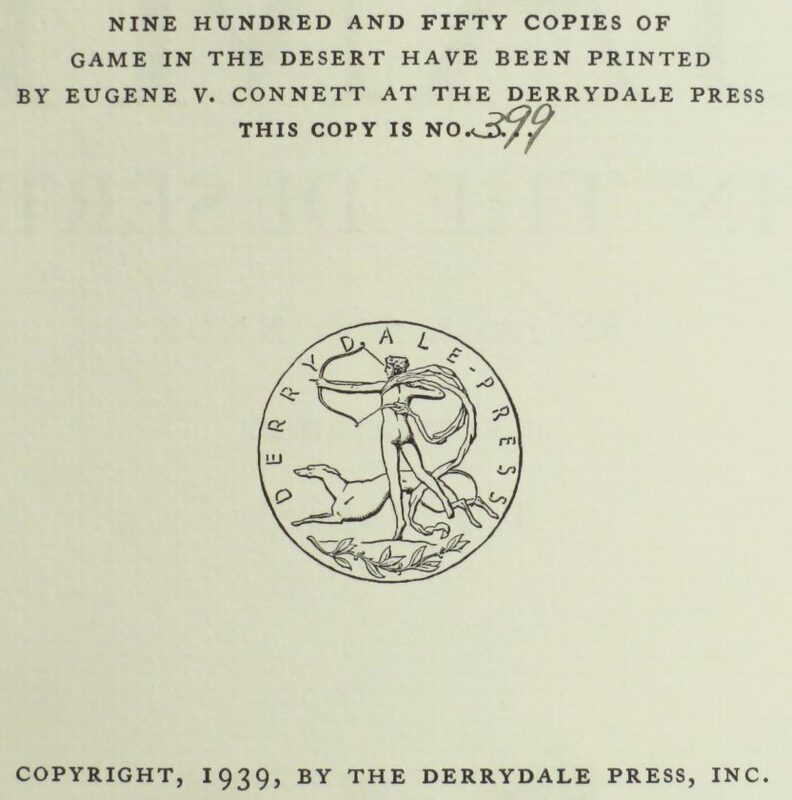 Published by The Derrydale Press in 1939 as a limited edition of 950 copies, this is number 399. The combination of the author and publisher makes this one of the most desirable big game hunting books ever printed. It also stands in fine condition, with solid binding, minimal bumping to the leather binding and somewhat less than average fading to the cover titles.